Again, no new Vinylmation on display, but plenty of Star Wars stuff. On display was a set of 6 Disney Characters as Star Wars action figures. At first I was excited to get a peak at the 6th series, but these do not seem to fall in line with the figures we are used to. (see series 5 here). First of, it’s a set of six. Second, there are repeat characters. And third, the quality seems a notch below. Take a look at the set below. 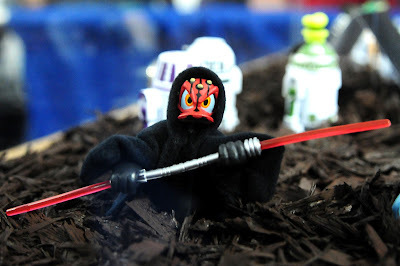 It is themed toward the Phantom Menace and will be released in August at a retail price of $9.95. Donald Duck is of course Darth Maul. 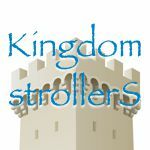 In a Disney blog article, we were made to believe this would be available this weekend… it was not. It is an upgrade to the Darth Maul Donald we already have because this on has a robe made out of fabric. Instead of having Goofy reprise his role as C-3P0, here he is TC-14. 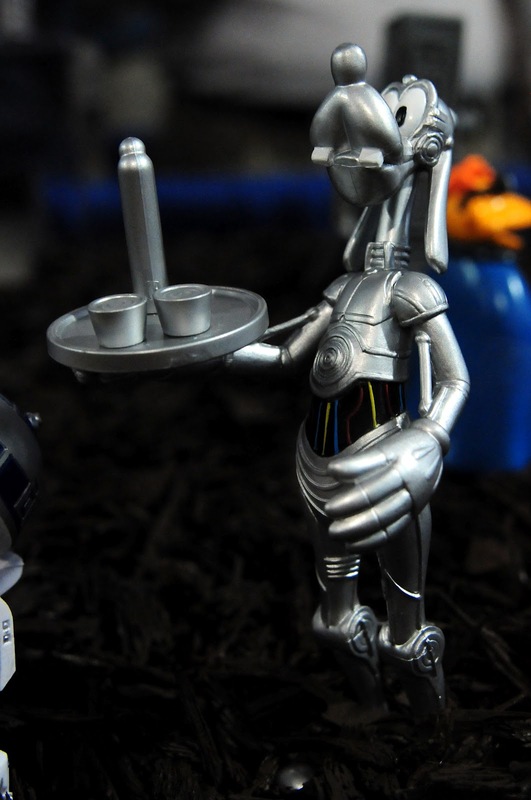 A protocol droid found in the Phantom Menace. 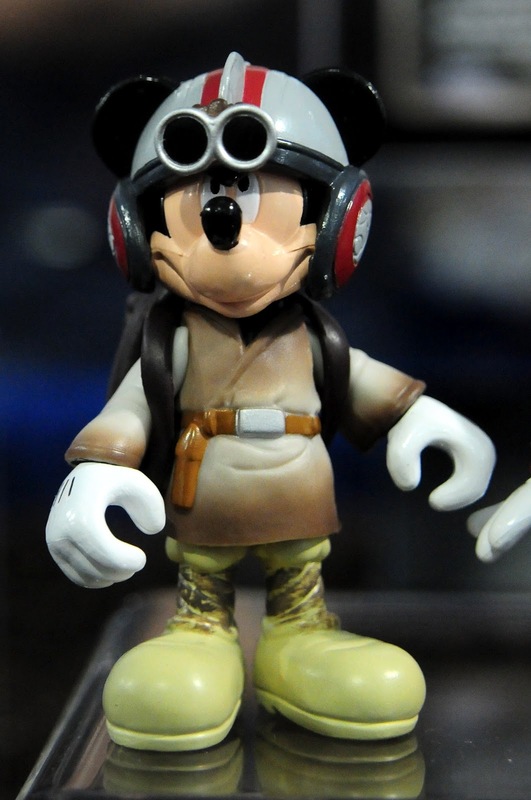 Mickey appears as a young Anakin Skywalker all ready to take on a pod race. 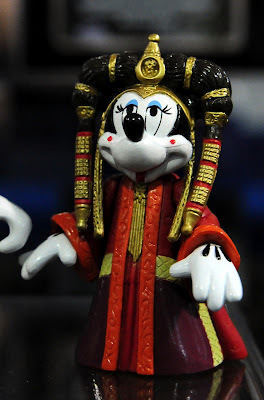 Minnie is once again Queen Amidala. She also was the same character in a previous action figure set. The had garb looks a little more intricate on this one. 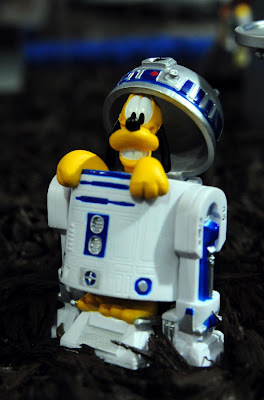 Yep, that’s Pluto peeking out of R2D2. I always wondered how they would portray this droid in an action figure set. I think I like it, but may have to see it in hand, and not through glass, to be sure. 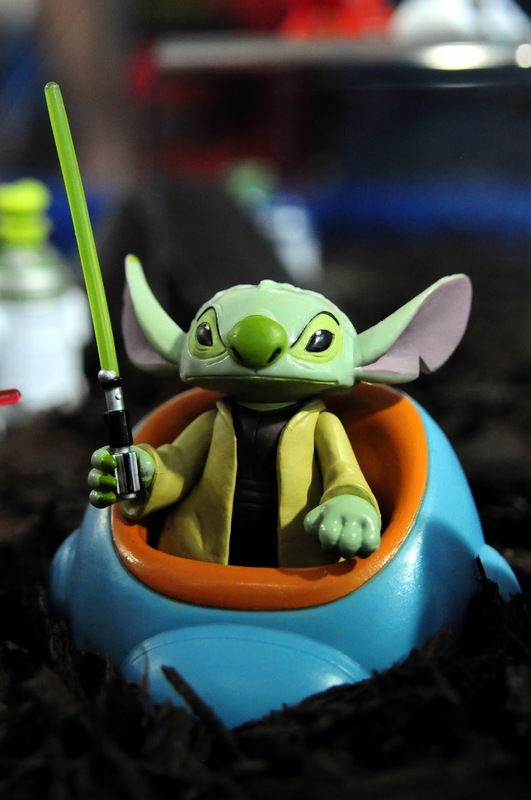 I always liked Stitch as Yoda, but do not need a second one in my collection… but I do need a Jedi Council chair!!! So you got me again Disney. Just like you got me to re-buy Mickey as Indiana Jones because you packaged him with Goofy and an Ark. Ooh, I like the Darth Maul Donald, which I feel is an improvement- ZOMG R2D2 PLUTO /)^3^( – er, um, what was I saying? Ah, yeah. Donald. He’s cool. Also glad to not see Jar Jar Goofy again. Donald is amazing! This was always my favorite Star Wars / Disney mash up character. pluto is really cool, too! Can I just say finally got that amazing R2 a year later.